The MPP (MaxPlusPlus) Series is the industry's highest performing servo motor. Utilizing eight-pole segmented lamination technology, the MPP produces more torque in a shorter package. Use MPP motors for higher torque applications, customization options, or when high performance is required. The MPP Series features a new design that offers lower inertia and higher power, all in a smaller motor package. These brushless servo motors are designed for the demanding applications found in today's high performance servo systems. The MPP motors feature segmented core technology, which can yield up to 40% higher torque per unit size than conventionally wound servo motors. Potted stators improve heat transfer for better thermal efficiency, resulting in increased torque at the motor shaft. High-energy neodymium magnets are employed for higher rates of acceleration. Parker will customize any MPP motor to meet your specific system requirements. Parker does customs like no one else. We are specialists at customs, offering unrivaled custom motor solutions and support. The MPP/MPJ family of brushless servo motors redefines performance, flexibility, and reliability. Numerous applications have used the Kinetix drives with the MPP and MPJ series motors with our standard single-speed resolver (41) and 2000-line (pre-quadrature) encoder (1E) with hall sensors. The MPP and MPJ with the Compax3 support the full range of the absolute encoders of 4096 turns and support absolute position retention when the drive has been powered off. Are MPP / MPJ with absolute encoders compatible with Kinetix drives? MPL series motors with M are a multi-turn Stegmann Hiperface absolute encoder (4096 turns). The MPP series motors with 6S are the same model Stegmann Hiperface absolute encoder (SRM 50). Kinetix drives use a blob file that's sent from the Hiperface absolute encoder for their auto-configuration. The MPP use the standard Hiperface encoder without this blob file. Thus MPP motors with the Stegmann Hiperface multi-turn (6S) or single-turn (9S) are compatible with Parker Compax3 drives with F11 but not Kinetix drives. 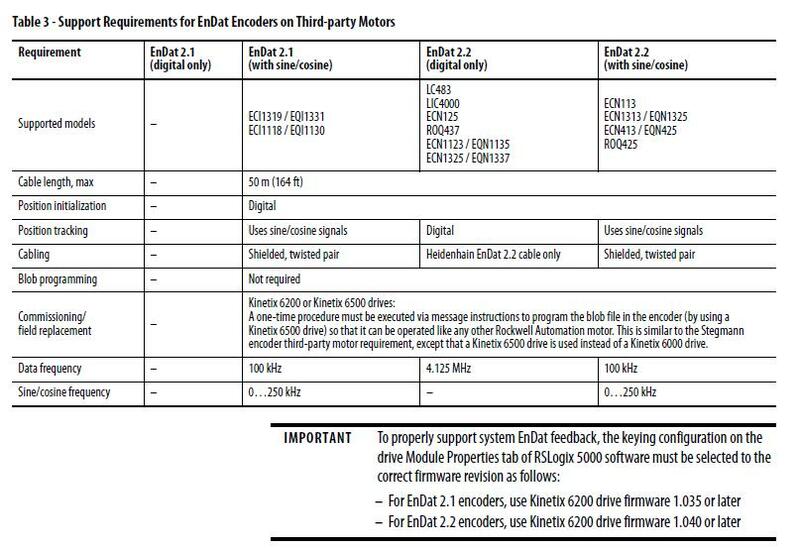 Kinetix drives 300 do not support third-party motors. For 350 drives, you can check with your AB representative. 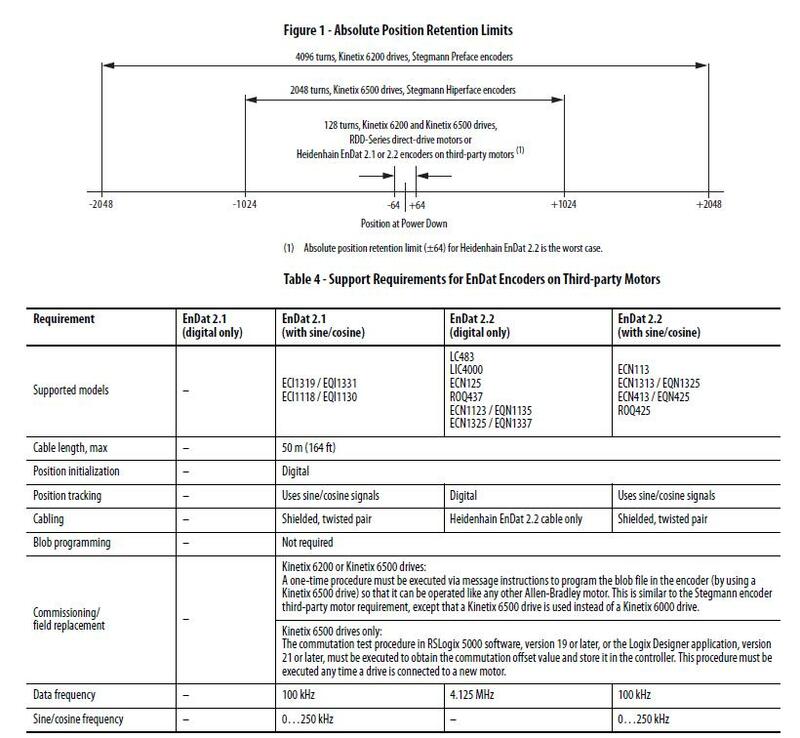 Disclaimer: This has been developed as a guide for cross referencing MPL motors to Parker motors. The motors should not be used for final motor selection unless reviewed and approved by an automation engineer. The customer is ultimately responsible for their machine design. Enter the MPL motor part number. 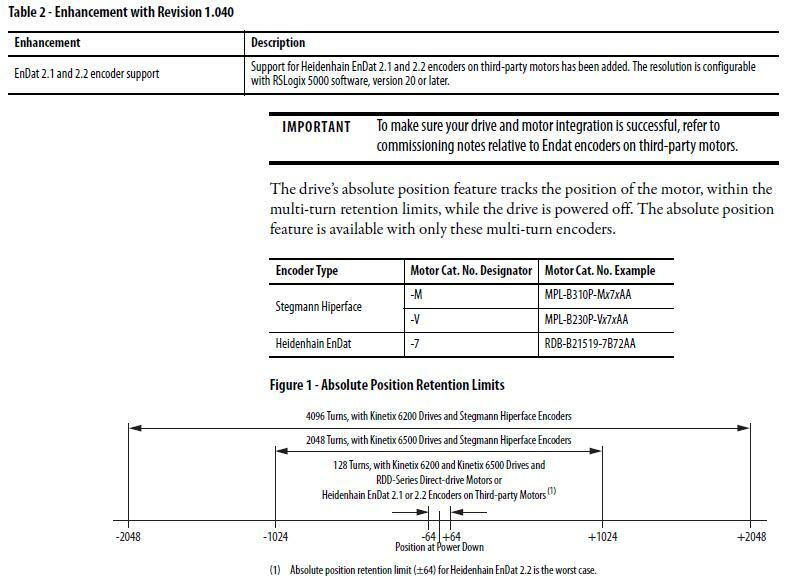 The Parker motor and drive options are listed as well as the motor power and feedback cables.